Kadambari Shah is an Associate at IDFC Institute. Her research focuses on ease of doing business in India, special governance zones, and urban governance. Kadambari has a postgraduate degree in Economics and Finance from the Meghnad Desai Academy of Economics (MDAE), affiliated to the University of Mumbai, where her dissertation was titled, ‘Analysing Total Factor Productivity Growth as an Exit Strategy for the Middle-Income Trap’. 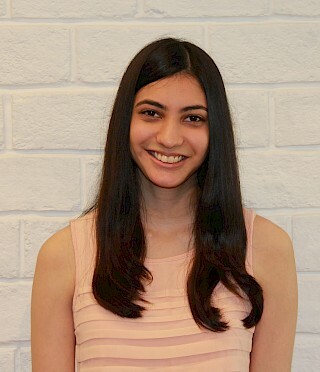 Her research interests include macroeconomics, urbanisation, and interdisciplinary economics. Kadambari graduated from St. Xavier’s College (Autonomous), Mumbai with a Bachelor of Arts (Hons. ), majoring in Economics and English Literature, with a minor in Anthropology. She was on the editorial board of several scholarly journals and has presented research papers on development issues ranging from economic growth versus development in Cuba to the role of race and gender in electoral politics. She has participated in international academic conferences at Harvard University, USA and the University of Stuttgart, Germany. She was awarded the St. Xavier’s College Golden Jubilee Scholarship for excellence in academics, extra-, and co-curricular activities, and was the top ranker in English Literature in the B.A. programme. What can manifestos tell us about India’s leading political parties? The Prime Minister's People Money Scheme is not the first financial inclusion scheme, but is the first of its kind to gain major traction. How has it been able to achieve its considerable footing in India's financial inclusion discourse? Kadambari Shah, Senior Analyst at IDFC Institute and Prakhar Misra in this Pragati article argue that FRBM Act essential for maintaining fiscal prudence and should not be diluted.